Patna: Both the Houses of the Bihar Legislatures passed the Goods and Services Tax (GST) Bill 2017 on voice votes in a special session on Monday. All the parties including Janata Dal (United), Rashtriya Janata Dal (RJD) and Congress of ruling Grand Alliance and Opposition Bharatiya Janata Party (BJP) supported the passage of the Bill that paves away for July 1 roll out of the GST nation-wide. The GST is a single tax system which will replace multiple State and Central Taxes to create one national market in most of the goods and services. 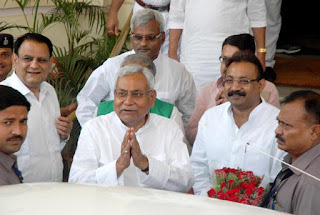 Leader of Opposition in Bihar Assembly Dr Prem Kumar congratulated Chief Minister Nitish Kumar for the smooth passage of the Bill in Bihar Assembly. 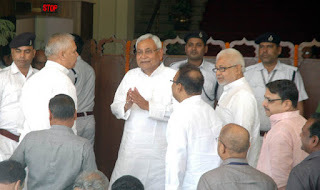 The special session of the House also passed four others Bills that included Bihar State Universities Amendment Act and Patna University Amendment Act. Under the Bihar State Universities Amendment Act, the principal of the colleges will be put under the category of teaching employees. This will give three years benefit to principals in the retirement age. Earlier, principals are to retire at the age of 62 due to his non-teaching employee’s status. Under the new amendment, now a retired Bihar Administrative Services officer can be appointed as registrar of a university.